The weather report is indicating the strong likelihood of thunderstorms during the hours we would be touring. While we do indeed hold our tours in the rain, we do NOT hold tours during storms, particularly when lightning might be present. I will be at the start of the tour to either run the tour as scheduled, or to greet riders that show up if the ride has to be cancelled. IF the ride needs to be cancelled, we will have a rain date of next Friday, July 28 at the same time. Pre-paid riders will have the option of a refund or rain-check. Hopefully our weather luck works out and I will see everyone tomorrow. When Chicagoans speak of their downtown area, they most often refer to it as the Loop. The term does indeed represent the central business district of the downtown area and is a designated Chicago Community Area, but Chicago’s Downtown also includes adjacent neighborhoods and communities and many of the iconic buildings that people associate with downtown Chicago like the Field Museum, Wrigley Building, Merchandise Mart, Union Station and the Water Tower which all lie outside of the Loop proper. The term the Loop is most frequently thought to originate from the loop that the cable cars made at the turnabouts along State, Lake, Wabash and Madison. Later it referred to the Union Elevated Line, an elevated train that connected the various independent el train companies to one another in a central business district Loop. For much of the decade that I have been organizing the Chicago Neighborhood Bike Tours, I have offered mini-tours of the various Downtown districts which I held for the City of Chicago, and longer night tours of the same areas. The mini-tours were 6 to 10 miles and offered the greatest hits of the major sites of each Downtown Community. 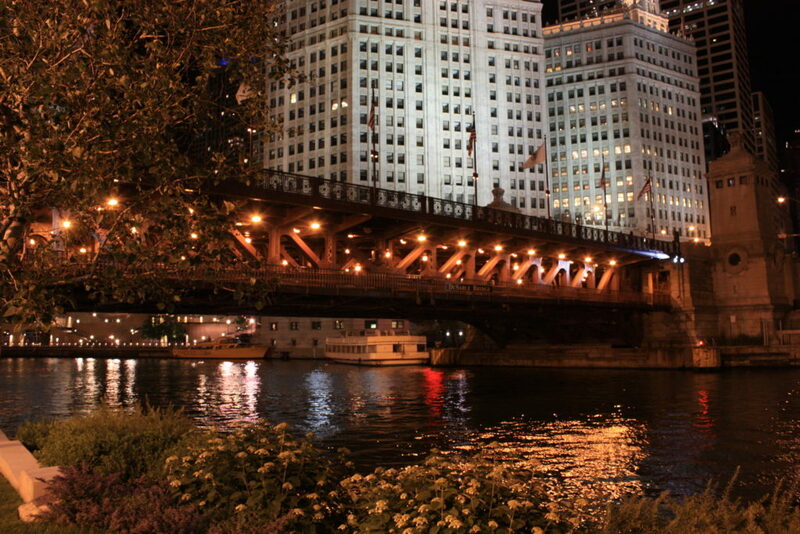 The night tours were 10 to 14 mile tours that used the night as a filter to highlight sites and buildings that were particularly impressive for night-viewing. A comprehensive tour of any of these areas would be impossible due to the density of all of the magnificent sites in any of these areas, as well as the challenge of very dense and busy downtown vehicle traffic. I have created a Google Map with our Route, and sites of interest in each of the different Community Areas. This year, the tour combines iconic buildings and sites of all the different downtown community areas in a combined night tour. 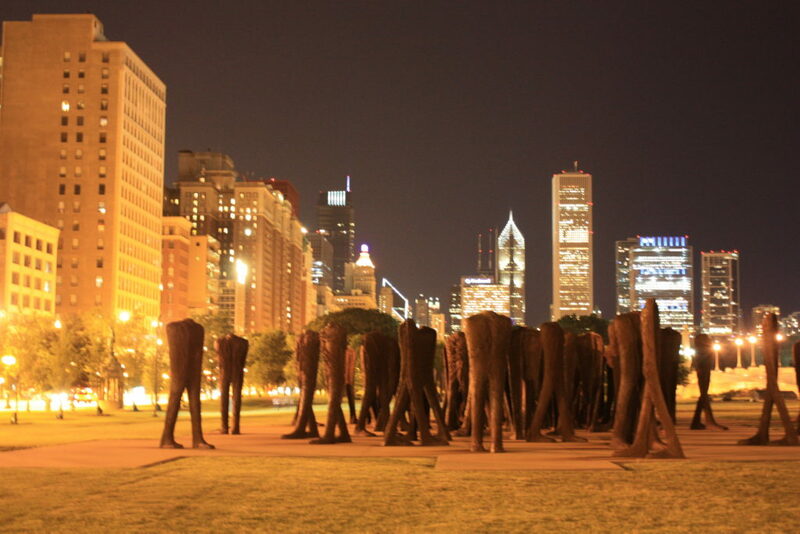 There are fewer stops and an exciting route that offers a breathtaking view of Downtown Chicago in all its nighttime glory. All riders should bring a helmet as well as front and rear lights to see and be seen. We ride in rain, but not in storms. 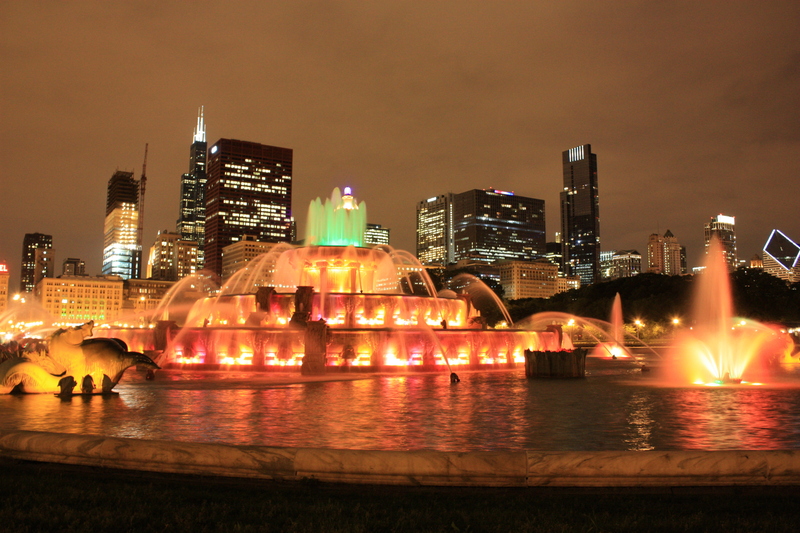 I hope you can join us for a one-of-a-kind view of Chicago by bike at night. Inspiration for this post’s title from the great Ohio band Orchestraville and their album, “At Night, it is Particularly Lovely”, available to listen to for free on Bandcamp here. 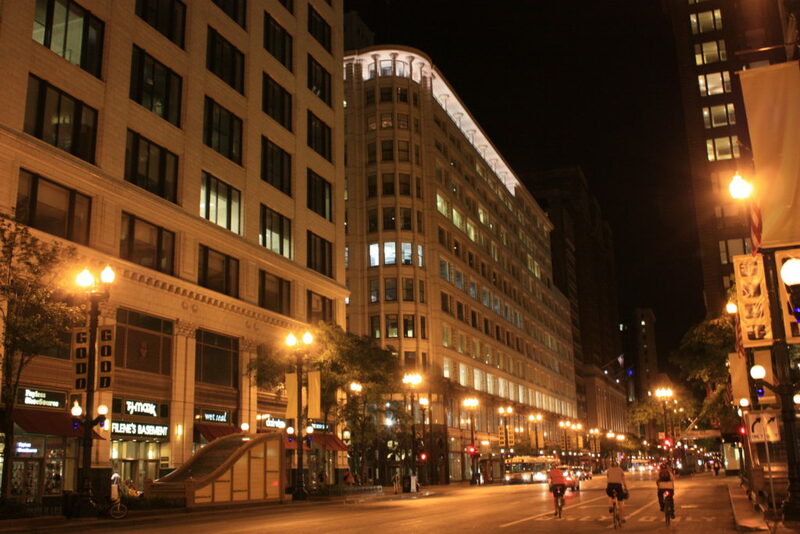 This entry was posted in Chicago Velo Blog and tagged Downtown, Night Tour on July 17, 2017 by Lee Diamond.